staggered polepieces with "chamfered Alnico V magnets"
good hights but stil allowing some mids to come through to stop the pickup sounding thin. middle pickup is reverse wounf/reverse polarity. bridge pickup is slightly over wound for better balance. rich harmonics and natural sustain. 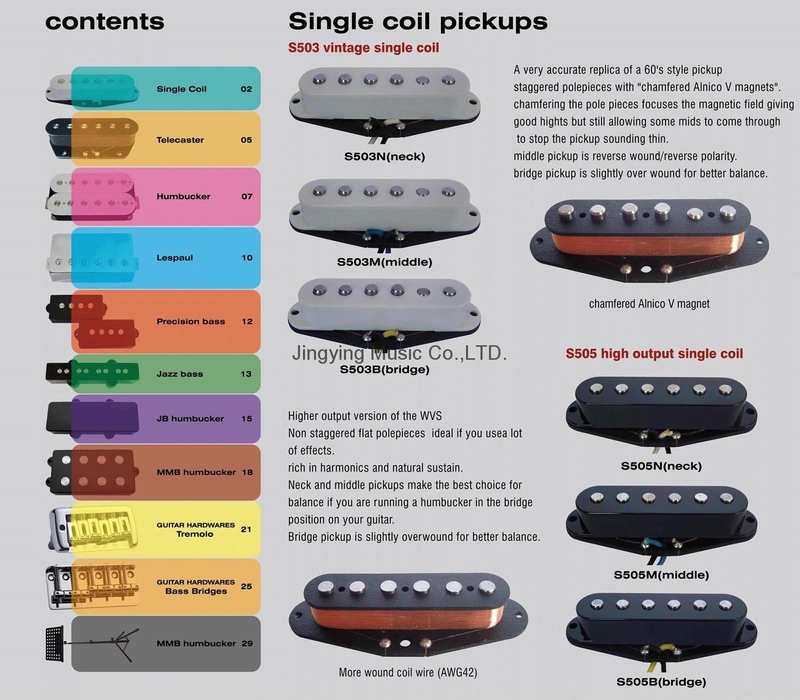 Neck and middle pickups make the best choice for balance if you are runnng a humbucker in the bridge position on your guitar.